At this year’s “The Five Elements” Music Week, our Elementary School students’ talent, creativity, and imagination were on full display. Music Week at ISTP is a truly unique event. 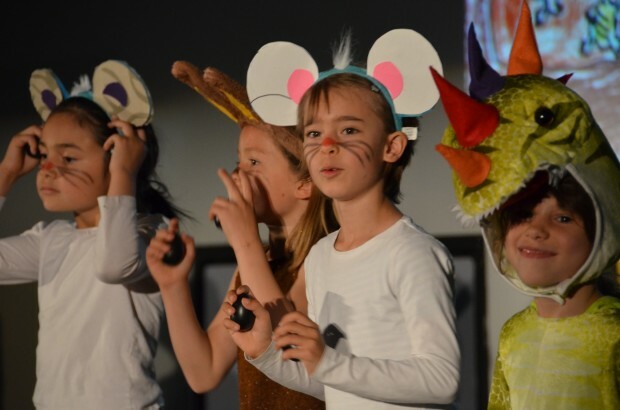 Many other schools stage plays and choral performances. But at ISTP, our students perform songs they themselves have written. With the help of our hardworking and talented music teachers Jean-Baptiste Charlot and Sue Yang, each elementary school class writes and performs its own original song. This year each song was inspired by one of the five traditional elements in Asian culture – fire, wood, earth, water, and metal. The theme provided a great jumping-off point for our students’ imaginations. The first graders, for example, took inspiration from the “earth” element to write wildly creative songs about aliens bringing the first flowers to earth, dragons living in the center of the earth, and the exciting lives of ants, ladybugs, and spiders. Each performance was a feast for the senses. Students drew their own colorful artwork, which was projected bigger-than-life on the wall behind them, to vividly illustrate their songs. Students also dressed in creative, adorable costumes. 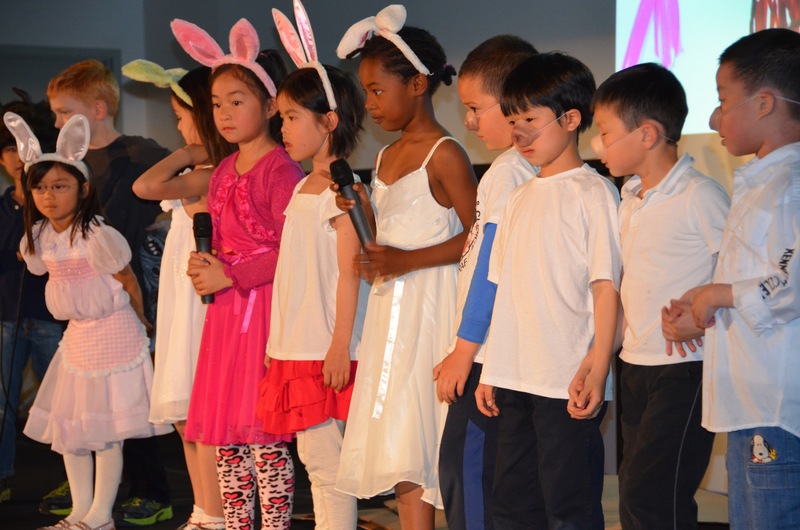 Dragons, bunnies, squirrels, blind mice, aliens, and much more graced the stage in the Rothschild Multipurpose Room. The week’s performances also proved that we have many talented singers at ISTP, as students bravely performed solos in front of an eager room full of parents. The room was filled with parents taking their own pictures and video – understandably wanting to commemorate this very special ISTP event. Students beamed from the stage, proud to present a piece of art that had sprung directly from their imaginations. But of course, none of these musical creations would have been possible without Jean-Baptiste and Sue. Thank you for your endless hard work and exceptional musical talent!